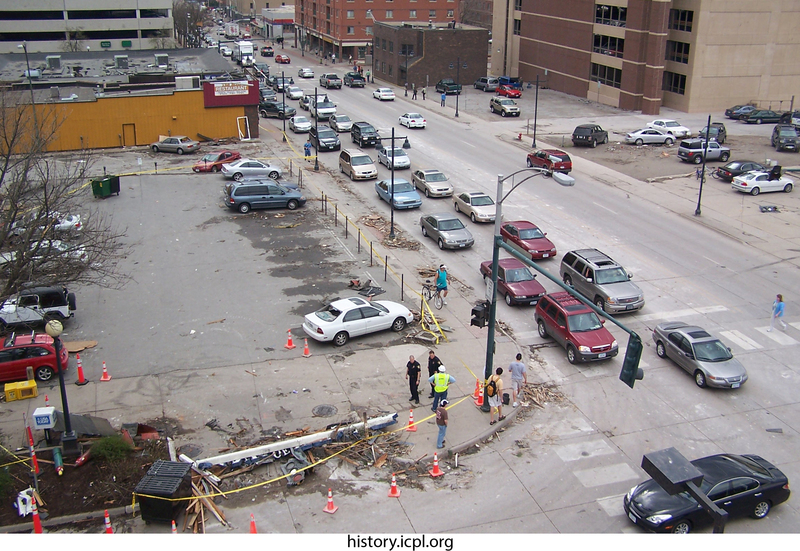 Debris and barricades along the corner northeast and southeast corners of Burlington and Clinton Streets after the 2006 F2 tornado. Educational use only. Copyright Jean Frazer. 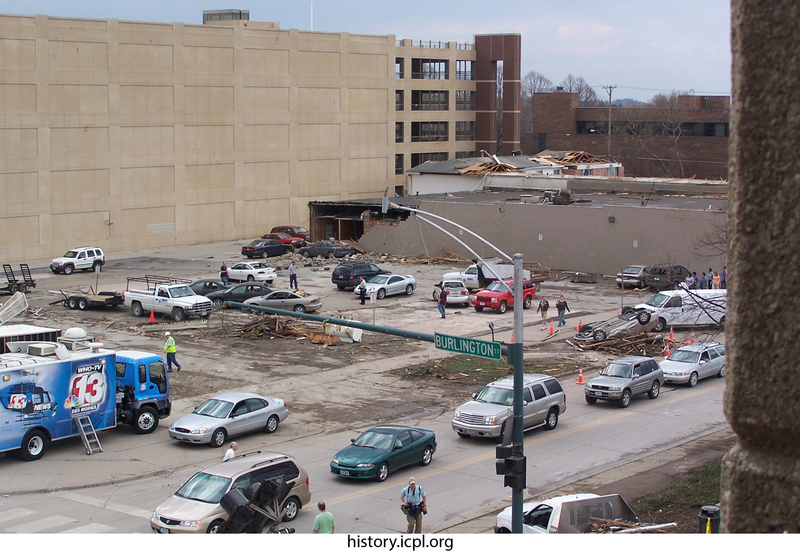 Frazer, Jean, “The Northeast ans Southeast Corners of Burlington and Clinton Streets,” Iowa City Public Library, accessed April 19, 2019, http://history.icpl.org/items/show/2539.